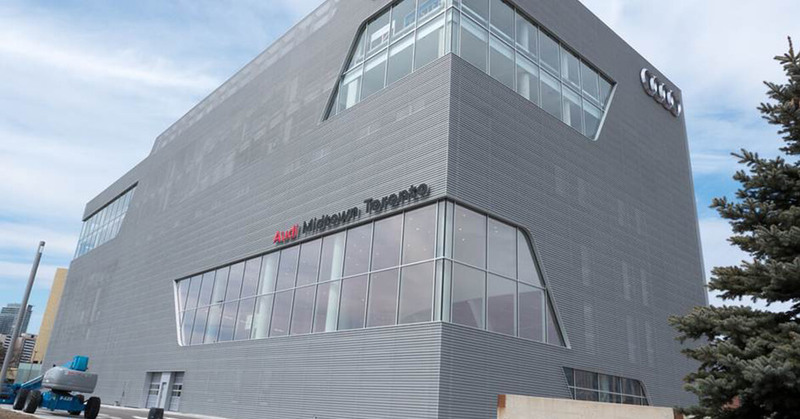 Audi Midtown Toronto – We’ve loved our time at Sheppard Avenue, but the time is approaching for our major move. Over the past several months our new dealership has been taking shape in the centre of the highway 401/404/DVP interchange. 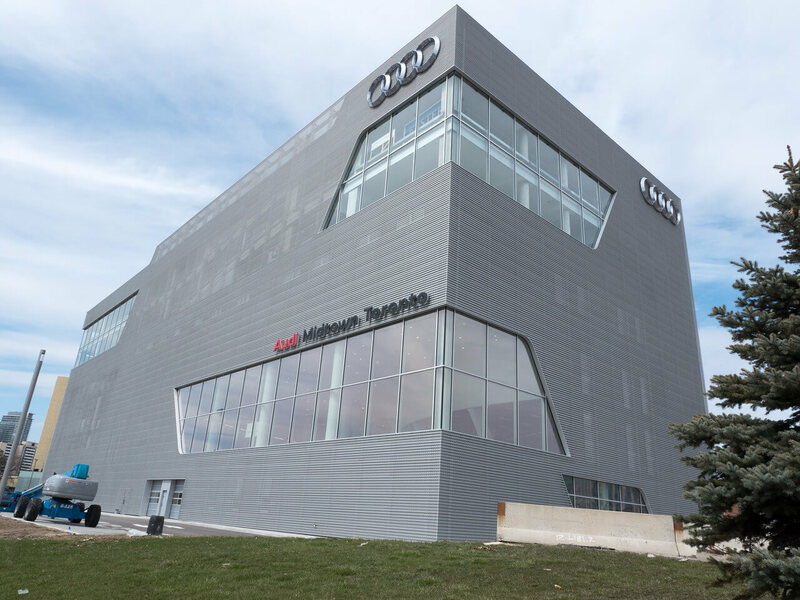 Whether you’re an Audi fan or not, you can’t help but do a double-take at this intriguing seven-storey dealership. So far, we like what we see. Toronto-based Teeple Architects did a fantastic job designing our new 8,000 square metre home. 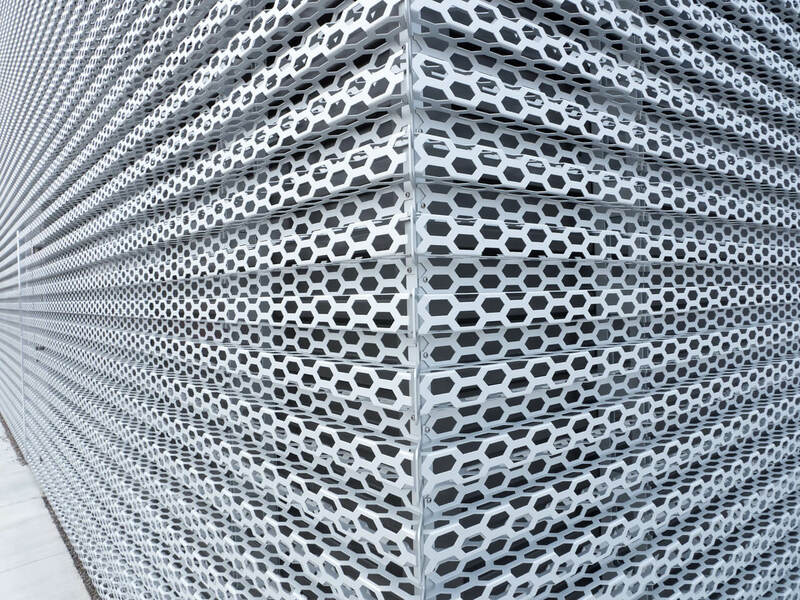 It goes hand-in-hand with the standard theme created by Munich-based architects Allmann Sattler Wappner for new Audi dealerships built from 2009 onwards. You can already see the polygon shaped windows, perforated and anodized aluminum sheets manufactured by RMIG displaying a hexagonal honeycomb pattern. 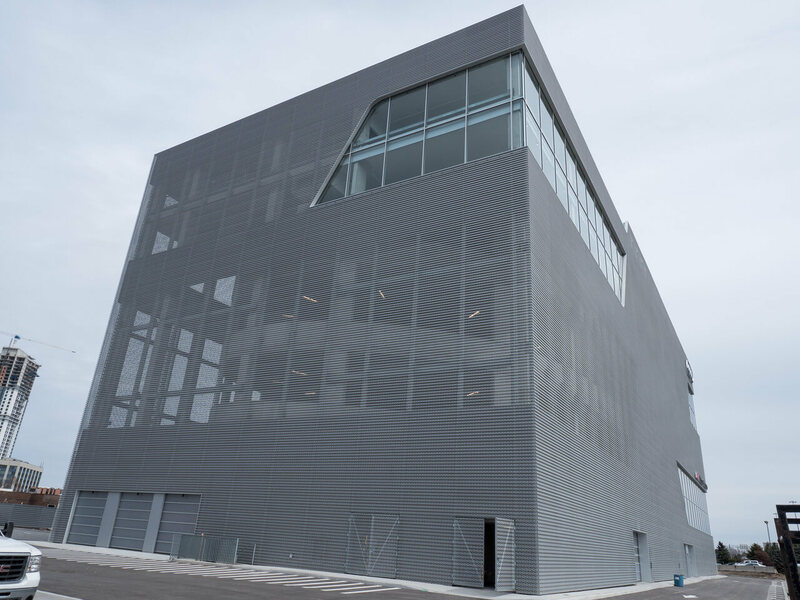 This $31,000,000 investment will feature a drive-through service reception, new vehicle showroom, customer lounge, new-vehicle hand-over, service bays, car wash detail bays and vehicle storage on the top two floors. We invite you to pay us a visit at our new home at 175 Yorkland Boulevard, very soon!